The nation’s largest school system should prepare children to take on tomorrow’s challenges. Join us in improving our schools. Download a PDF of this page. Win billions in additional State funding for city schools. Use policy research, advocacy, and organizing to push for better public schools for all New York City children. Nurture innovative programs for recently arrived immigrant students and students with disabilities. Bring after-school programs together to improve literacy instruction. Put photography, theater, and other creative tools to work boosting reading and writing skills. 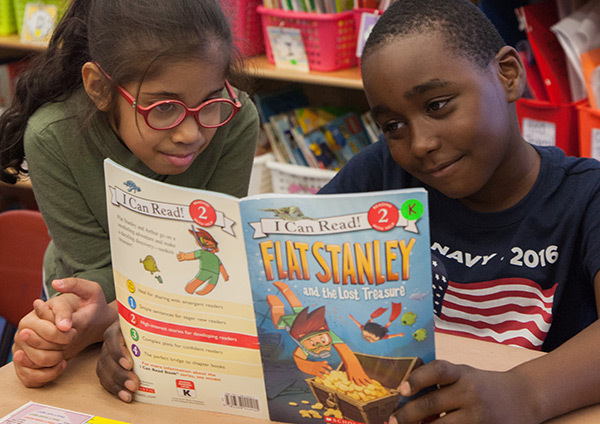 Train teachers to tailor reading instruction to students’ individual needs. 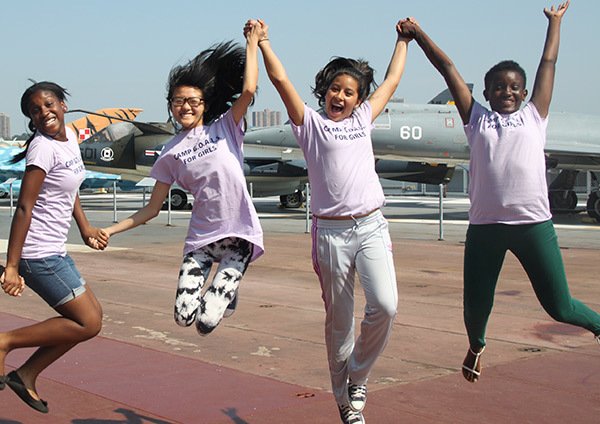 Bring volunteer programmers from tech firms to teach coding in high schools. Expand science and video game production classes for girls, who are traditionally underrepresented in science and technology. 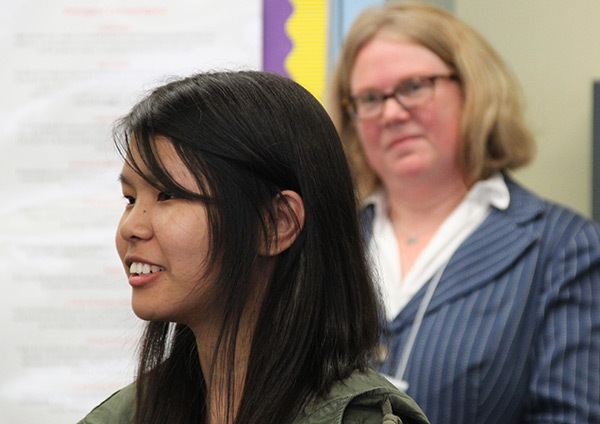 On a 2014 visit to one of the Internationals Network schools in Queens, program director Shawn Morehead listens to a student discuss how the program helped her learn English and make friends from a range of countries. Create immersive high schools for immigrant teens learning English as a second language. Promote the use of photography, theater, and other arts to engage children in learning English. 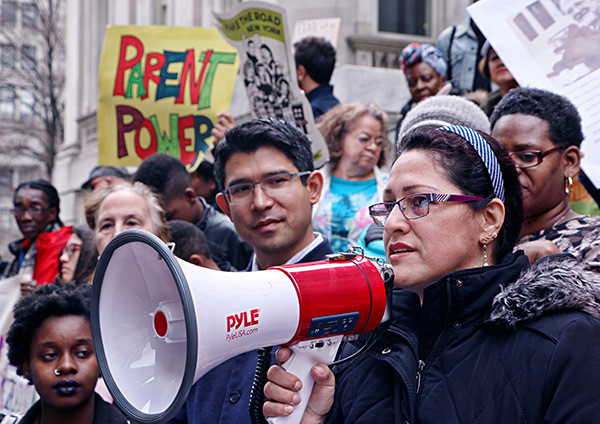 Advocate for immigrant parents’ rights to access their children’s schools. 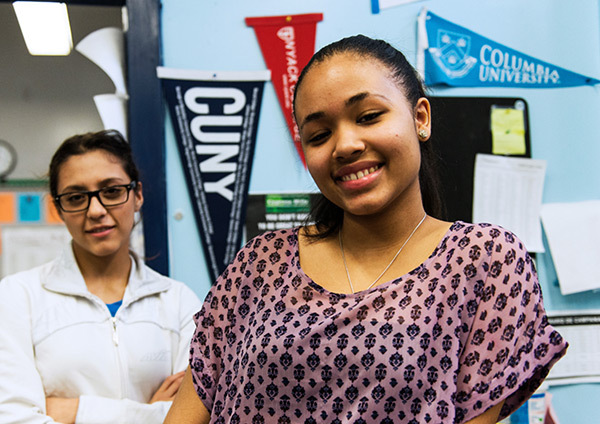 With our help, Graduate Center for CUNY helped create college access programs in high schools that focused on helping students who are the first in their families to go to college. Take kids on college overnights, provide mentors, and help them prepare for exams. Provide peer support and tutoring to help young adults get into college.